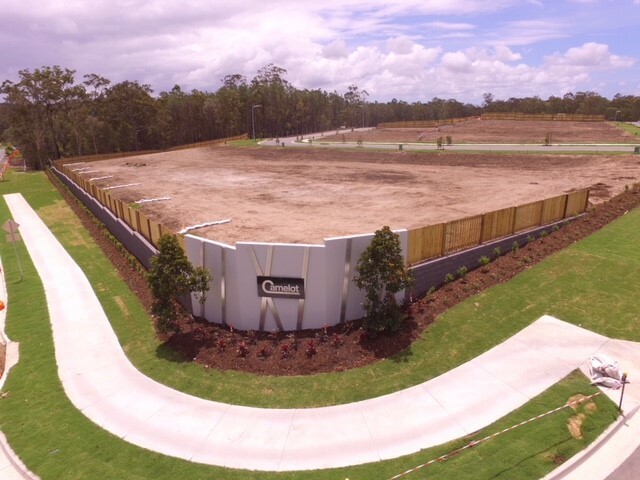 Pictured: Land prices continue to climb on the Gold Coast, visit our latest community Camelot in Coomera here. According to an article in today's Gold Coast Bulletin, the Gold Coast is one of the hottest land markets in the country, inspired by a Commonwealth Games building boom and ongoing supply issues. Median land prices up 4.1 per cent from the beginning of 2017 to more than $395,000 in the September quarter. According to property group Oliver Hume’s new Quarterly Market Report released yesterday, the median price of land on the Gold Coast is up 22.8 per cent in 12 months and 57.2 per cent over the last three years compared to 5.9 per cent for the whole of Southeast Queensland in the past 12 months and 10.2 per cent over the past three years. Oliver Hume Queensland general manager Matt Barr said despite the lack of projects the Gold Coast would continue to see price growth. “We see the Gold Coast as the strongest property market in Queensland with population growth remaining robust and supported by several initiatives and infrastructure projects including the Gold Coast 2018 Commonwealth Games,” he said. Source: Gold Coast Bulletin. Visit Camelot in Coomera, our latest Northern Gold Coast community, here.